Bigger isn’t always better, especially when it comes to pie! 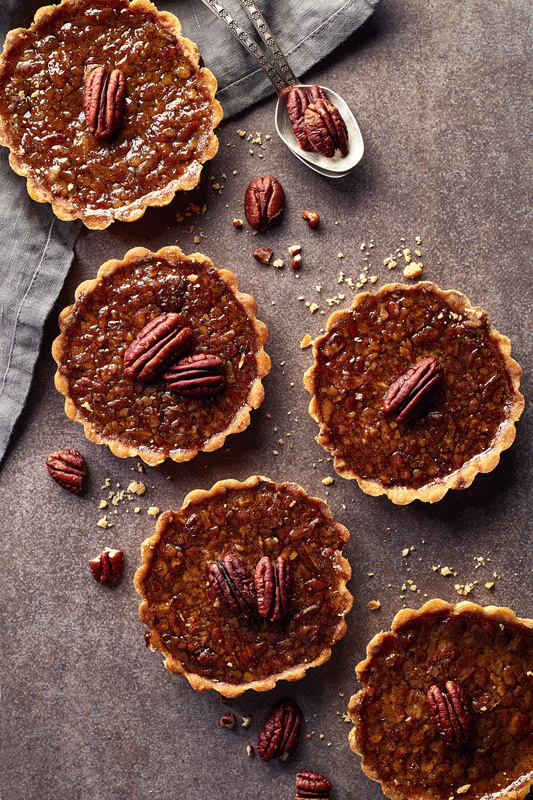 These mini pecan pie tarts are incredibly delicious and the perfect addition to your Thanksgiving dessert spread. Pecan pie is the quintessential Thanksgiving dessert. 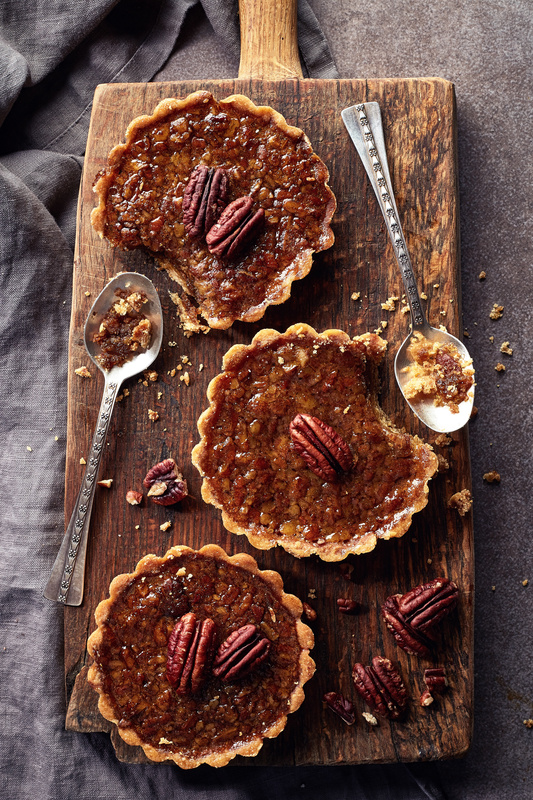 Though nothing will ever beat apple pie or pumpkin pie in my mind, classic pecan pie also deserves a spot at the table. What is your go-to pie for Thanksgiving? 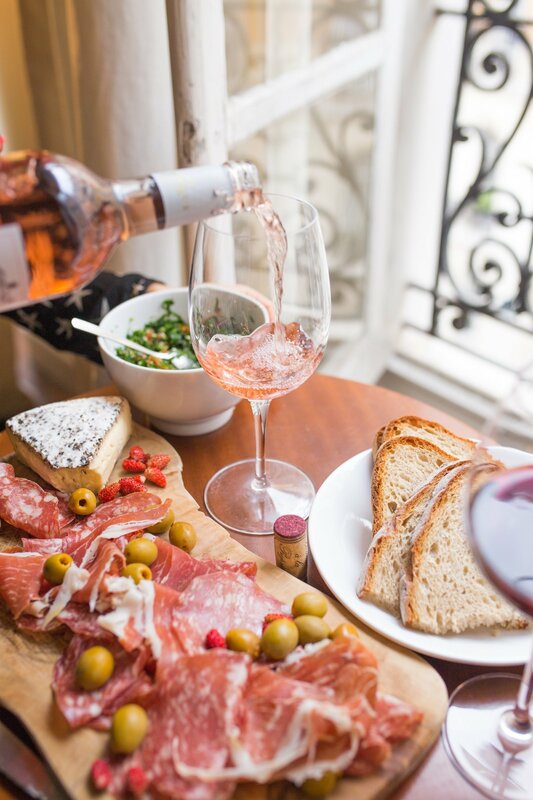 On a side note… it seems like Thanksgiving arrived so quickly this year. I feel like just the other day we celebrating Halloween! 2018 has been a busy one for me between keeping up with my business and planning a wedding. However, I wouldn’t have it any other way and both have filled me with such joy this year. *If you don’t have a favorite, here’s a good single-crust recipe. Preheat the oven to 400°F, and place a large baking sheet on the bottom rack. Roll out the crust to ¼” thickness. Cut the crust into 6″ circles using a pastry cutter, and press each circle into a 6″ pie pan. In a medium-sized mixing bowl, beat together the eggs, syrup, sugar, melted butter, salt, and flavoring. Pour 1/3 cup of filling into each of the cups. Divide the pecans evenly among the cups, sprinkling them over the filling. Place pans on a heated sheet pan, and bake for 15 minutes; then reduce the oven temperature to 300°F and bake for another 20 minutes. Remove both pans from the oven, and cool the mini pies completely in the pan before removing them and serving.